1.1.1993: First ceremonial session of the Czech Chamber of Deputies in the Vladislav Hall of Prague Castle. 19.1.1993: The Czech Republic is admitted as the 180th member of the UN. 1.3.1993: A free trade agreement between the Czech Republic, Slovakia, Hungary and Poland comes into effect. 1.1.1994: TV NOVA, the Czech Republic's first nationwide private TV station begins to broadcast. It immediately becomes hugely successful and influential. 9.2.1994: The government agrees to participate in NATO's Partnership for Peace. 1.2.1995: Czech associate EU membership comes into effect. 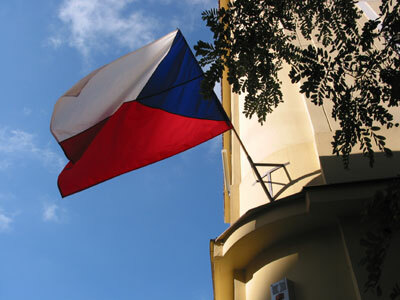 28.11.1995: Foreign Minister, Josef Zieleniec, signs an agreement for the Czech Republic to join the OECD. 31.5.-1.6.1996: First parliamentary elections in the Czech Republic. The right-of-centre coalition led by Vaclav Klaus remains in power, but loses its majority. 15.-16.11.1996: First round of elections to the newly established 81-member Senate, the upper house of parliament. 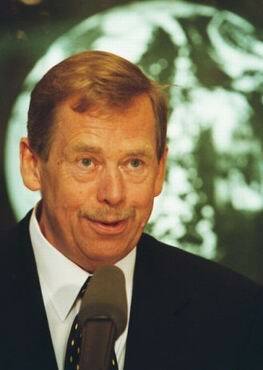 December 1996 - January 1997: President Havel undergoes surgery for lung cancer in Austria. 21.1.1997: Prime Minister Vaclav Klaus and Chancellor Helmut Kohl sign the Czech-German Declaration, to smooth historic tensions between the two countries. The declaration does not resolve the sensitive issue of the property of expelled Sudeten Germans. 16.4.1997: The Government passes a "package of measures" aimed at putting the economy back on track following a significant worsening of the economic situation. 10.10.1997: Prime Minister Klaus and his Slovak counterpart Vladimir Meciar, hold their first formal meeting for four years. 23.10.1997: Parliament approves local government reforms to create 14 regional administration units. 30.11.1997: Collapse of the minority government of Vaclav Klaus. 13.12.1997: The Czech Republic is one of 10 countries to receive an official invitation to join the EU, although no specific timetable is laid down. 2.1.1998: A caretaker cabinet, led by National Bank chief, Josef Tosovsky, is named by President Havel. 22.2.1998: The Czech ice hockey team wins gold at the 17th Winter Olympics in the Japanese city of Nagano. They are later welcomed home by a crowd of 150 000 on Prague's Old Town Square. 19.-20.6.1998: Early parliamentary elections. A minority Social Democrat government emerges. 12.3.1999: The Czech Republic, along with Poland and Hungary, joins NATO. 19.-28.9.2000: Prague hosts the World Bank and IMF Annual Meeting, which sees continuing reforms of both organizations. The event is accompanied by huge anti-globalisation demonstrations, and there are violent clashes between the police and demonstrators. 14.-15.6.2002: Parliamentary elections result in a fragile coalition of the Social Democrats with the Christian Democrats and the Freedom Union. 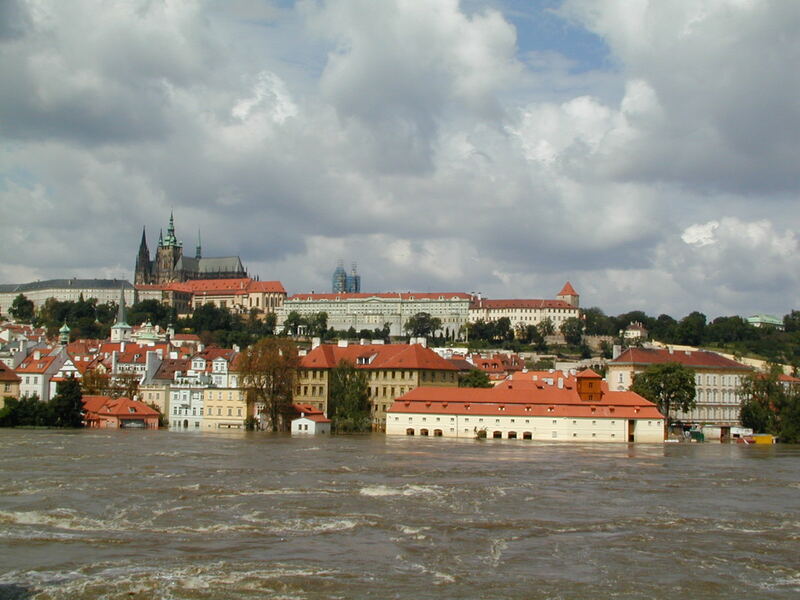 8.2002: The Czech Republic faces the most catastrophic floods in its history. 200 000 people are temporarily evacuated, up to 20 people lose their lives and the cost of repairing damage is estimated at tens of billions of Czech crowns. 21.-22.11.2002: Prague hosts a huge NATO summit, attended by over forty prime ministers and heads of state. Seven further countries, including Slovakia, are invited to join the alliance.